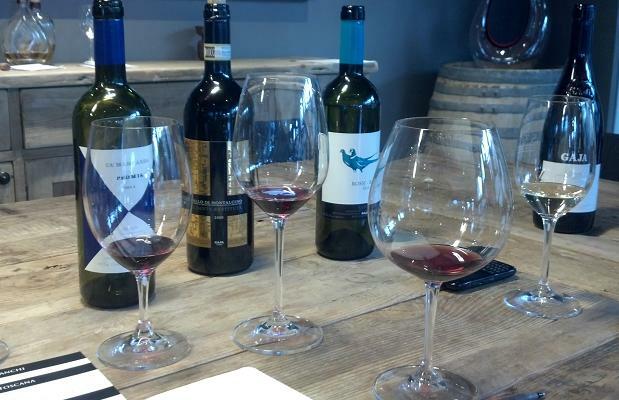 Every day brings a new morning when wine tasting in on the schedule. There are many tasters, writers, critics and Sommeliers who do not love working in such a way, tasting wine so early in the day. 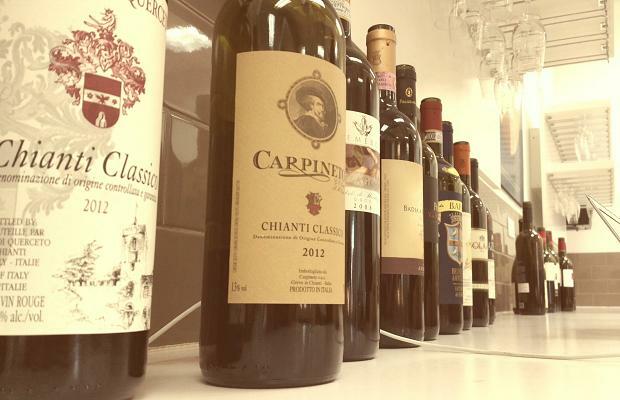 A table full of jammy Shiraz or warm vintage Bordeaux might scare me too but a Greek tasting? In. There. Any time, night or day. Bring it on. If you have not recently acquainted or re-acquainted yourself with the new wines of Greece, which are actually the old ones save for advancing technologies, clean as whistle viti-viniculture and winemaking brilliance from masters to young apprentices, it’s Mt. Olympus time you did. Can’t you hear that rooster crowing? From Assyrtiko to Retsina, Debina to Moschofilero, Agiorgitiko to Xinomavro, Amyndeon to Zitsa, Nemea to Thessaloniki, Naoussa to Santorini, Greek wine is diverse, complex and critical to wine blessedness. Don’t even get me started on volcanic. That opus shall be left to Master Sommelier John Szabo. Me, I’ll concentrate on the divine mythology of Greek wine, of its place in the fractal world, how it can beautify and simplify, through recursion in dynamic systems, the bleak chaos of wine landscapes. Like the Morai, Greek wines are thread with motherly nurturing. For mere mortals, they direct fate from the birth of their drinking days to death. They are a highly independent bunch, unobstructed and driven by necessity. 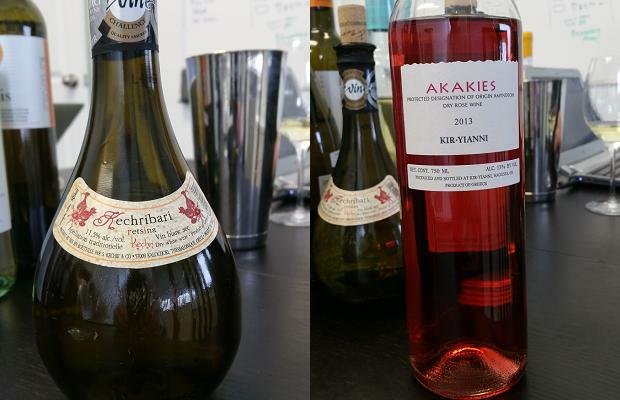 The call to assembly of WineAlign critics last week for a table full of Greek whites, reds and one righteous Rosé meant that fate was on side, ready and willing to facilitate a tasting full of exemplary and impressive wines. 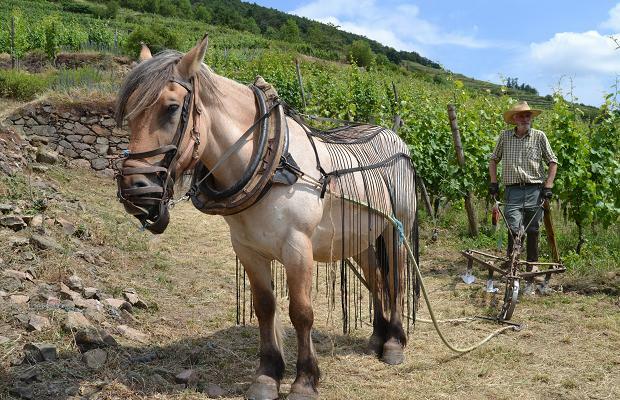 For a full report on Greek wines, read John Szabo’s words of necessity at WineAlign: Confident wines from Original Vines: Reasons to Drink Greek. 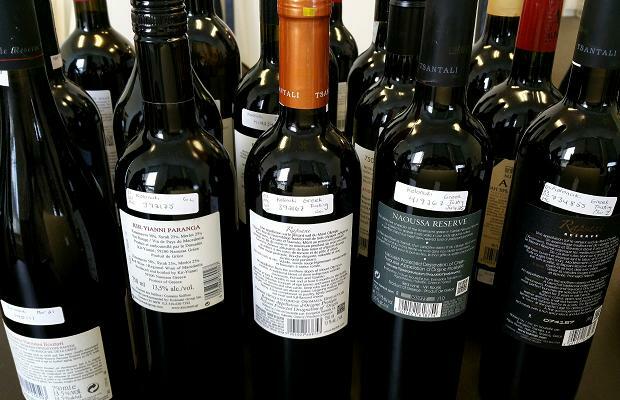 In anticipation of next week’s Greek wine show at which 50 wineries will pour for media and trade in Toronto, I tasted through 25 samples on that new morning. An exceedingly promising number (more than half of what was presented) showed state-of-the-art antiquity and eternal modernity. 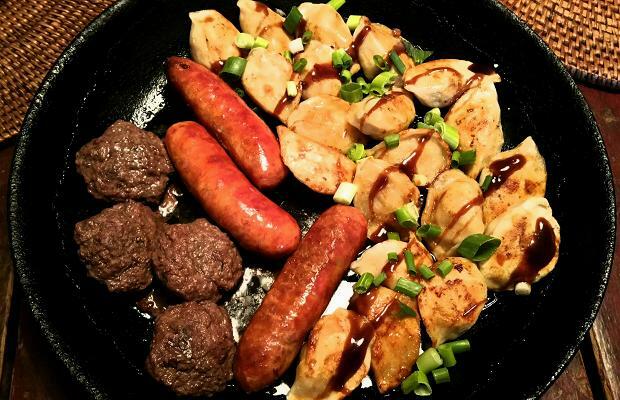 I’ve chosen ten to highlight here, all worthy of your attention, time and palate. All under $25. An example for racing Moschofilero against Pinot Grigio and passing it on the stretch run from the outside lane. There are many reasons to go with this variety when narrow thinking leans PG, mostly because it has more depth, mineral grain and positive energy. This is a basic but prime entry into the category. 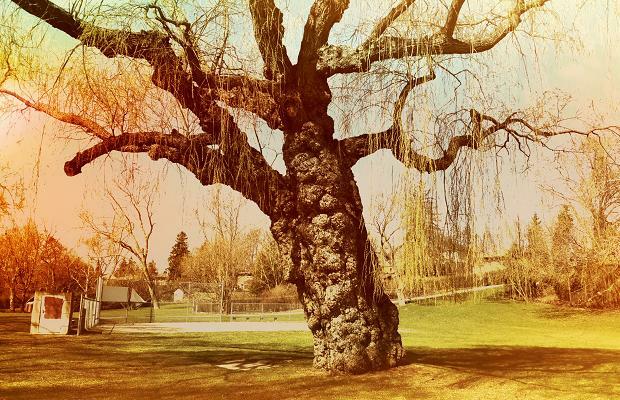 Has the passage of time in its wheelhouse but also the verve to keep it afloat in a sea of sun drenched whites. Drink 2015-2016. From my earlier November 2014 note: A textured, minutely oxidative and bronzing Moschofilero with a confident sense of itself. The orchard has ripened and spilled into this bottle with peaches, apricots and citrus Portokalia Lakonias. Great metal tang, world turning acidity and length as long as the Nestani’s walk to Demeter’s Temple. St. George persists as a tremendous deal in Peloponnese red. Rustic charm and righteous liqueur fill the air from drift to waft. 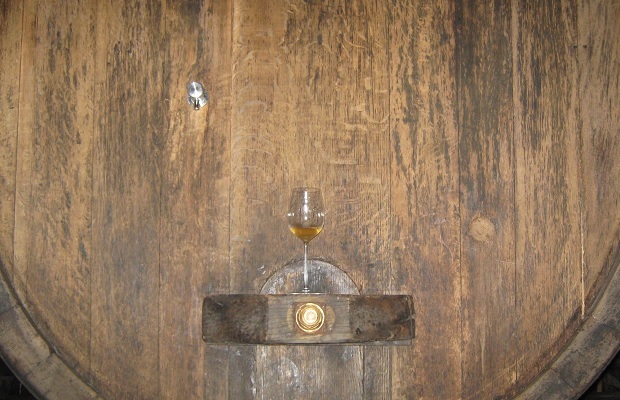 Prime Agiortiko acidity and fine grained tannin. This will live for 7-10 years. Drink 2015-2018. From my earlier November 2014 note: Nemea strikes again. Dark rust, earth juiced on and of the rocks. Like Sangiovese with attitude, made by Romans, like Syrah the way it was made in mythological times, by Greeks. A classical garden. This is actually quite modern and expressive for Agiorgitiko. Acts as if it were a touch clay (or amphora) baked but it’s really just a Peleponnese take on oak aging (18 months) and further bottle rest (12 months). This is right in its window and will be friendly for three to five years more. What a steal. Gaja owns 250 acres of vineyards in Barbaresco and Barolo. In 1994 they acquired Pieve Santa Restituta in Montalcino, Tuscany and in 1996 they added Ca’Marcanda in Bolgheri, Tuscany on the coast. The significance of this acquisition lies in the Bordeaux varieties grown there; Merlot, Cabernet Sauvignon and especially Cabernet Franc. There will come a day, not so far away, when that Cabernet Franc will make some truly exceptional wine. The Gaja brand, while nearly 155 years young, has recently climbed into a league of its own. To consider the wines, the estates and the aura that surrounds, you might think there was a marketing team of hundreds blanketing the earth. On the contrary. There is Gaia Gaja. The wines made famous and expensive by Angelo Gaja define much of what the world knows and thinks about Italy and yet Gaia can talk about nothing but antiquity, historical culture, economy and social structure. 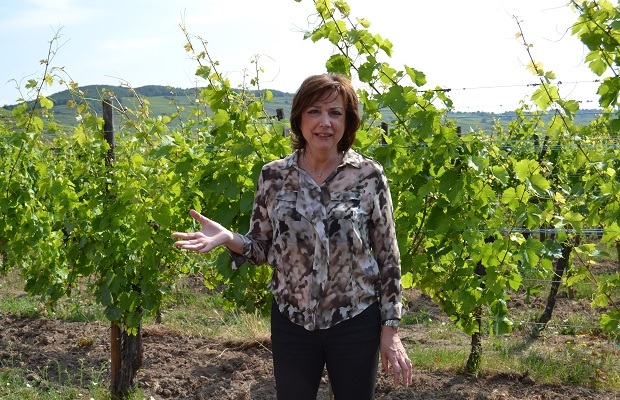 She is proud of the UNESCO heritage designation for Barolo, Barbareso and Langhe. Her nostalgic, her family’s connectivity with place and her knowledge of vines is astounding. 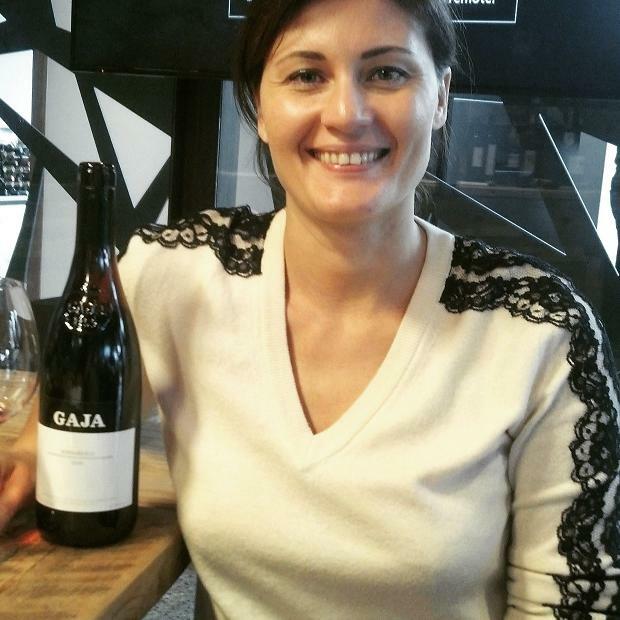 Gaia Gaja knows everything about Piemonte. Gaia speaks of biodiversity in the vineyard. 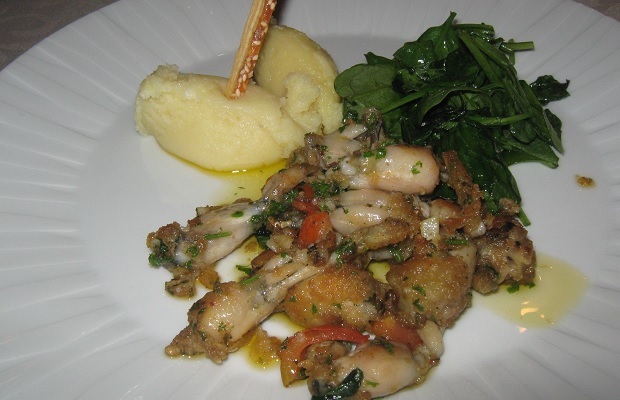 She is responsible for experimentation, like seaweed treatments, essences and extracts, from garlic and rosemary. She believes in using grasses to suppress disease and mildew. 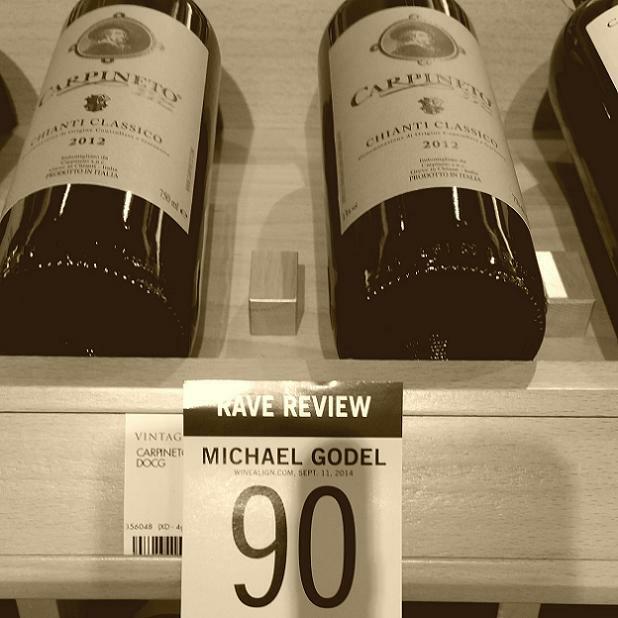 These are the practices of an estate that commands designer prices for their labels. This is not a contradiction, it is a way of life. The vineyard management is what protected Gaja from the most challenging of vintages in 2014. August temperatures of 17 degrees celsius and so much water wreaked havoc. Swelled but not diluted berries remained pure, with clarity and surprisingly good tannic structure, not to mention decent yields. 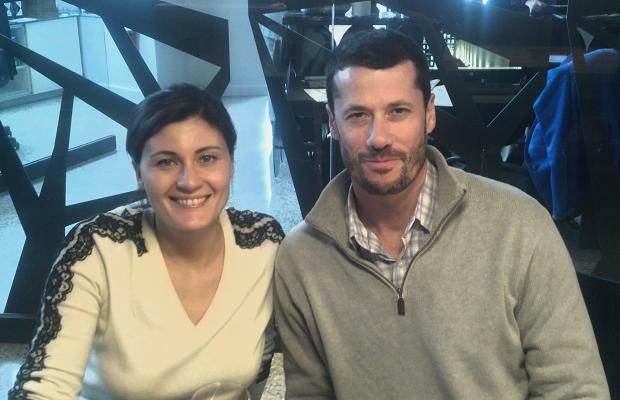 “It’s all about vineyard management,” reminds Gaia Gaja. Thanks must be afforded Robert Tomé and Tony Macchione of Stem Wine Group for allowing me the one-on-one time with Gaia. It will always be one of those hours I’ll not want to give back. Here are the five wines we tasted together. 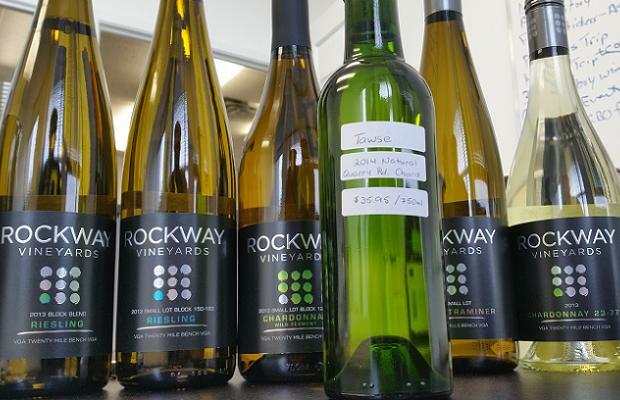 Last month, while working through a table of wines at WineAlign I tasted through five samples of Rockway Vineyards whites. All five were from the 2013 vintage. If it has not yet happened, these wines will usher the coming out party, to establish Rockway as a player in the new pantheon of Escarpment foothills whites. The vines at Rockway Vineyards are located in the Twenty Mile Bench sub-appellation on the Niagara Peninsula. The winemaker is David Stasiuk, a veteran of heralded estates around the world, including Le Clos Jordanne, Australia’s Yarra Valley Moet Chandon and CedarCreek in the Okanagan. 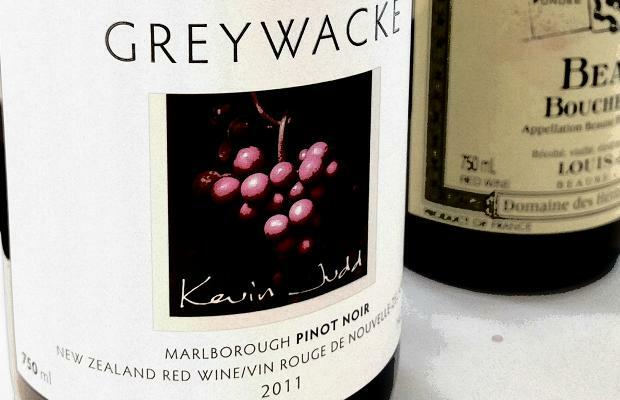 His wines are truly estate made; 99.9 per cent are grown, crafted and bottled at Rockway. I find the Riesling to fall into a niche straddled by Henry of Pelham and Flat Rock Cellars. Gewürztraminer is really in a class of its own, a trump card for Stasiuk and something I would encourage him to play with, into late harvest and beyond. Chardonnay is Twenty Mile Bench through and through, where place and barrel mark the twain and split the check. Here are the notes on the five tasted back in late March. A visit to Alsace cannot be complete without a stop at Trimbach, the epicentre of rhythm in Ribeauvillé. 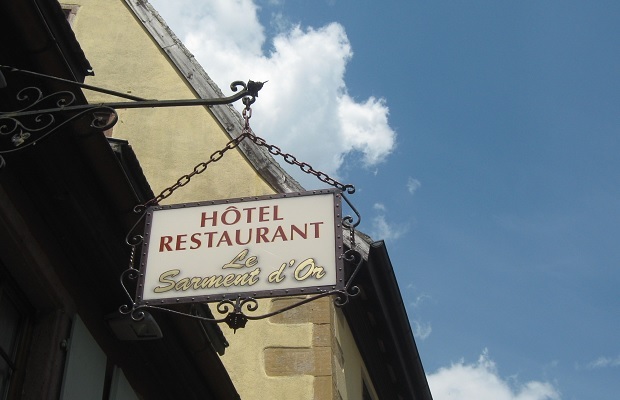 If that excursion includes a jaunt over to Riquewihr and lunch at Le Sarment d’Or with Jean and Anne Trimbach and their soulful wines, the exercise can be surmised in one word: élan. The Trimbach aura is triggered by joie de vivre, in pulse, metre and cadence. 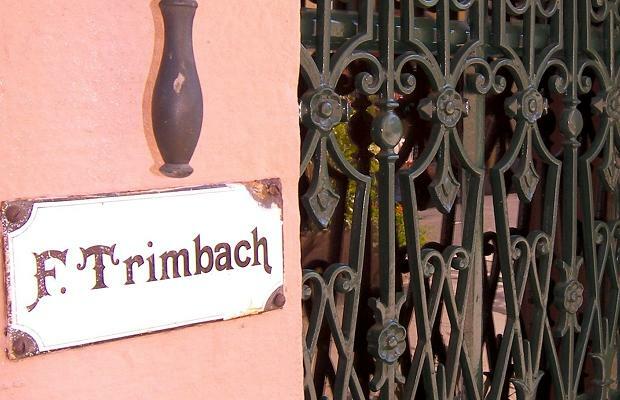 The wines reflect their makers and out there in the Alsace diaspora Trimbach is what I would refer to as an approachable, accessible and ever-so friendly icon. The wines are paradigmatic and emblematic of Alsatian acidity, from entry-level to preeminence. They are professional and represent the purest form of Alsatian confessional. The wines of Trimbach open up to the world, hide no skeletons, spin no agenda and simply ride out on a prosperous, musical mission to please. 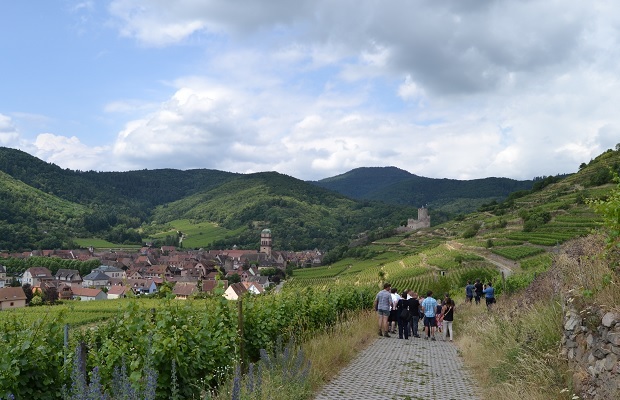 Here are notes on four wines tasted in Alsace, June 2014. 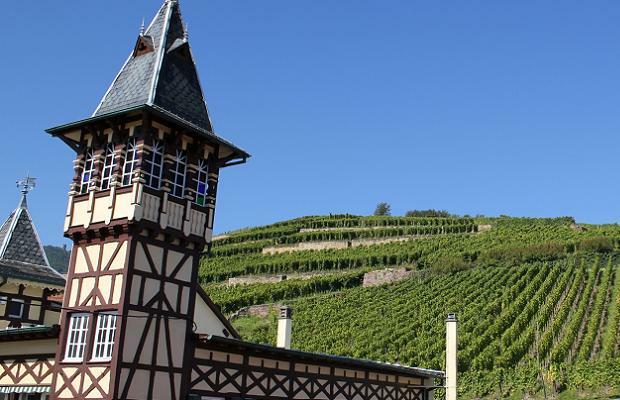 For Trimbach this is a top quality vintage to make an example for one of the domain’s signature value wines. This firm and straight shooting Pinot Gris comes from limestone-dominant parcels not so different from the PG taken out of the winery’s Osterberg Grand Cru, just above Ribeauvillé. That a Pinot Gris can bring a nearly (8 g/L) elevated level of residual sugar to the table and come across bone dry, like a walkabout in the outback, remains one of life’s great mysteries. Picked prudently early, or as Alsatians like to say, “right on time,” this Trimbach is eloquent, reeks of wet, cold stone and lies over an ocean tasting of salty minerals. 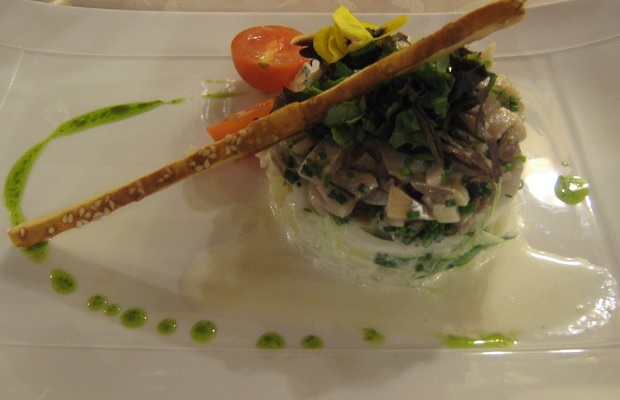 Pour it with the freshest, uncooked fish and a light vegetable pickle. Talk begins, if only because of its arresting singularity and how it flashes like a beacon, with the 1998 Cuvée Frédéric Émile’s acidity. Vintage-bound and determined with an exceptional focus that is clear, crisp and precise. From marl-limestone-sandstone and fossil-flecked Muschelkalk out of the Ribeauvillé terroirs Geisberg and Osterberg. A bone dry Riesling with a microscopic number of botrytis in absolute control of its 16 year-old adolescent body and emotions. Decidedly masculine, strong, confident and of a musculature that is developed yet immature. Not quite reckless and not yet taking any unnecessary risks, this will go through a racy period over the next few years before maturing into an industrious and wise adult. In this 1998, with the vineyards in mind, a parallel is drawn from 1990. Drink 2018-2028. On Monday, June 16th at the Millésimes Alsace, the professional trade fair for Alsace wines, older vintages were poured at the Master. 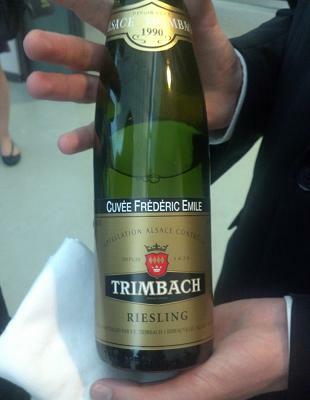 Among them was one of Trimbach’s iconic Riesling. 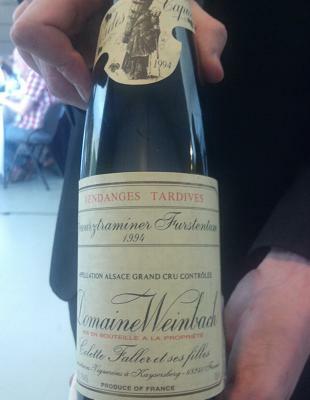 Introduced as a wine with “the capacity to air” by Sommelier Caroline Furstoss at the Millésimes Alsace Master Class. Riesling from a near-perfect and clean vintage (less than five per cent botrytis) that lays reclined in an evolution that has come to a balance in weightlessness. Frédéric Émile is a cuvée of beautifully impossible chemistry, a meld of dichotomous terroirs, of Geisberg and Osterberg, of stony clay geologically folded into both multicoloured sandstone and calcareous marl. The two plots may be hard to tell apart but this wine is so important because it innately knows how to make magic from the subtle differences and idiosyncratic intricacies of those soils. In 1990 the execution found results in the grandiose. There is no adipose tissue in this Riesling, no wasted notes, no moments of daydreaming. Laser clarity and still wagering its 25 year-old impetuous limestone acidity against the energy that might oppose it. 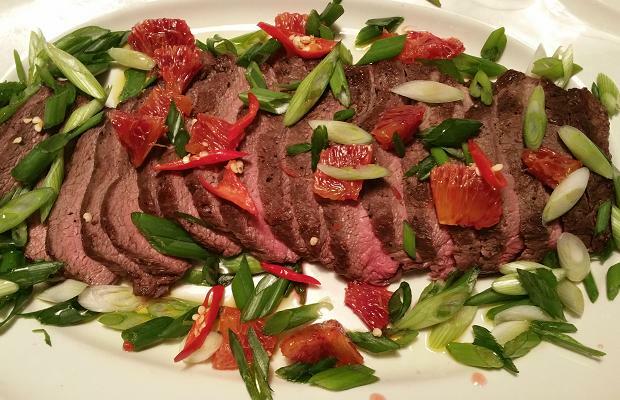 “You can feel the granite soil in the body of the wine,” notes Furstoss. Aromatics call upon orange peel, ginger and a brulée imbued of a late, finishing noble bitterness. Amaranthine Alsace. The great estates of the world do not endure for lifetimes, generations and centuries without an innate endowment to carry on, no matter the circumstances. Through tragedy there is always a prevail. There just has to be. I did not get the chance to meet Laurence Faller. I am sure that I would have loved to. 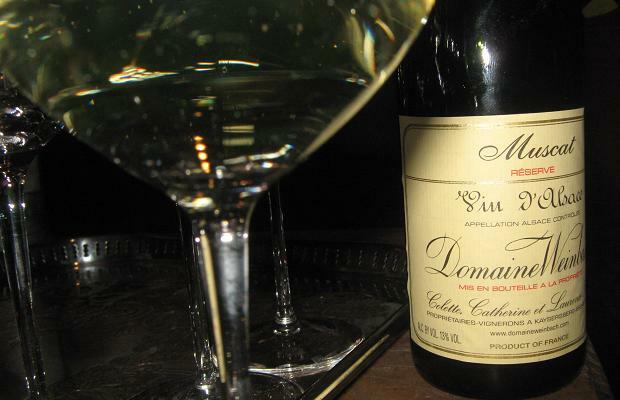 Having tasted some of her wines at the domaine where she nurtured and finished them is at least a small concession. When I visited Weinbach last June, I did have the opportunity to meet her mother Colette Faller and I am lucky to have done so. 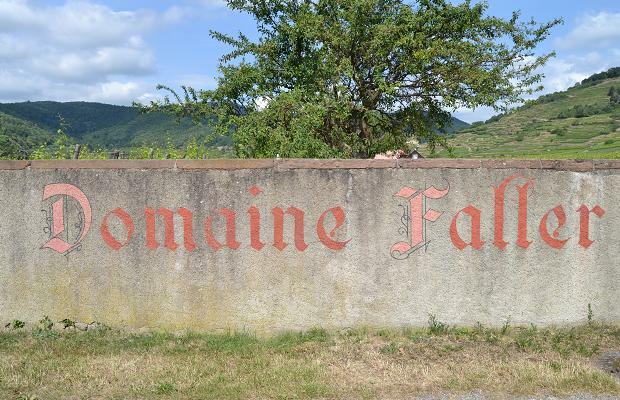 Thanks to Catherine Faller, who gave generously of her time and her family’s wines, the visit in the winery’s caves and up on the Schlossberg Grand Cru opened up the portal into Domaine Weinbach, Kayserberg and Alsace. Tradition and progress at Domaine Weinbach carries forward in the hands of winemaker Ghislain Berthiot, who worked with Laurence for 11 years. 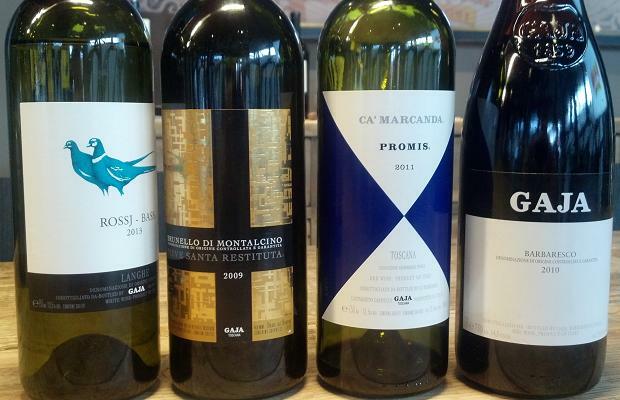 Here are the six wines tasted in June of 2014 and their notes. True belief denotes Muscat as the launching point for any Alsace tasting, but nowhere does the ontology mean more than at Domaine Weinbach. The vintage cements the doctrine. Darts straight back to the nadir of taste and smell, to the points of the tongue and inner nose unable to elude such an attack. From vines of the Clos des Capucins, soil composed by marno-calcaire at the foot of the Altenbourg Grand Cru. Low-yields (28 hl/L) drive acidity and fruit purity atop cut and cutting apricot crossed with the essentia of a grape. Here is an apéritif extraordinaire, cocktails and caviar, crunchy canapé and pure distillate. Opens the doors to Weinbach perception. Drink 2015-2025. From a difficult vintage with rain at harvest. A large crew was needed in mid-October to get the pick done with haste. This ’13 is essentially being given away, so it’s a gift to the world, in a sense. 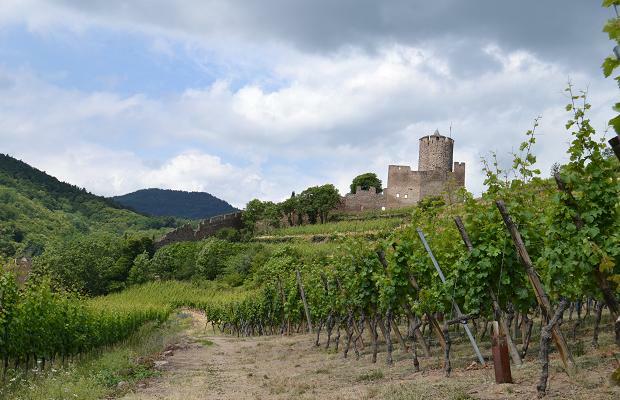 The fruit comes from some of the oldest Riesling vines, situated half way up the granite Schlossberg slope. Tasting this in 2014 is 12-15 years premature. Such an infant this Schlossberg, so very primary, as if by tank, as if by womb. Assumes the role of the richest of Weinbach’s Riesling aridity, exercised by the most established finesse. Peaches are exorcized in attack and persistent. Currently mired in a micro-oxidative state. You can sense it working, churning, moving in animation. If a taste of 2005 is any indication, it will be 2022 before this wine will begin the Cuvée Sainte Catherine reveal. Look for the open window to fall between 2025 and 2030. Here the rich and panegyrical Riesling from the first biodynamically farmed vintage at Domaine Weinbach. The old vines from the Grand Cru’s mid-slope averaged 60 years in this ’05, a wine that managed the best southern exposure to great effect. “You can have a whole lot of fantasy when it comes to food” with this Riesling vintage says Catherine Faller. That’s because there is a magnified, munificent and magnificent toast in this ’05, like some older Burgundy. The spice notes are right on the tip of the tongue with all the necessary sapidity of youngish Alsace, wise and wistful. 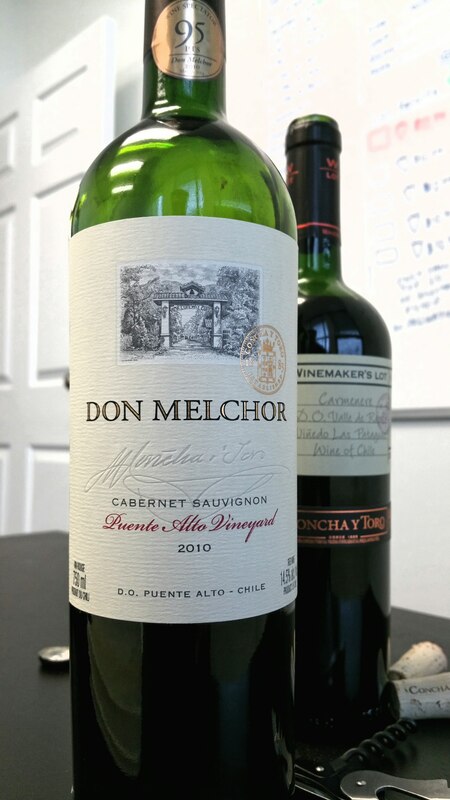 Now having just entered the secondary window, this wine is such a perfect portal for the gauging of aging, itself looking for ideal consumption between 2020 and 2025. Full reward offered to those with further patience. 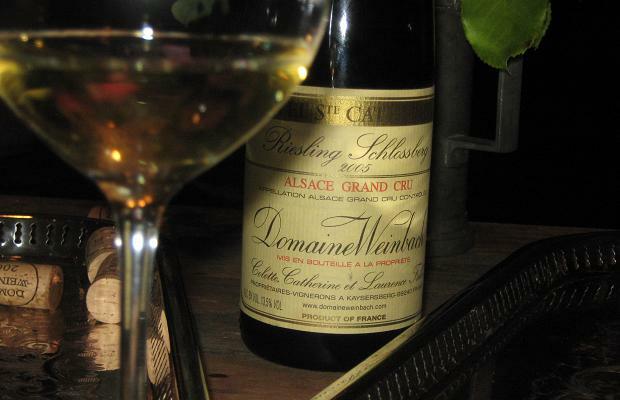 Domaine Weinbach created the moniker “Quintessence” when it was coined to describe the 1983 cuvée. The nickname is apt for the rapt selection of rare pearls from the lieu-dit Altenbourg. The marl, limestone and sandstone Clos is a gentle slope between 225 and 250 metres high, just beneath the limit of the Grand Cru Furstentum. In a late harvest SGN like this one from the low yielding 2010 vintage, at a sky-high residual of 200 g/L you would think sweet to the back of the brain. You would be right but each time that intensity is carefully brought back from the brink by formidable, if unctuous Pinot Gris acidity, a bubble within a bubble, never bursting, always teasing. The concentration and purity here are magnificent, the flavours hanging in extract of endless, suspended animation. 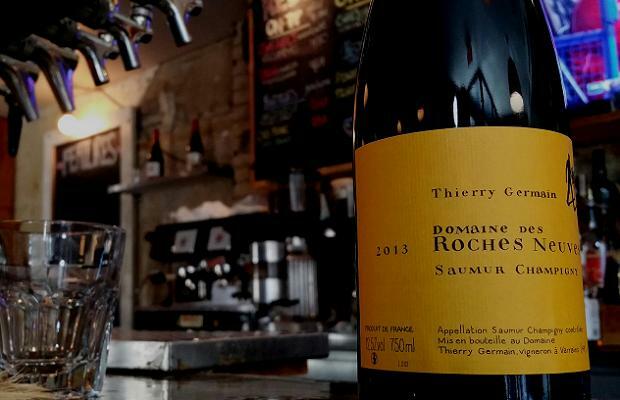 A wine to sip, to share and to save for senectitude. At the Millésimes Alsace, the professional trade fair for Alsace wines, one of Laurence Faller’s great legacy wines was poured. 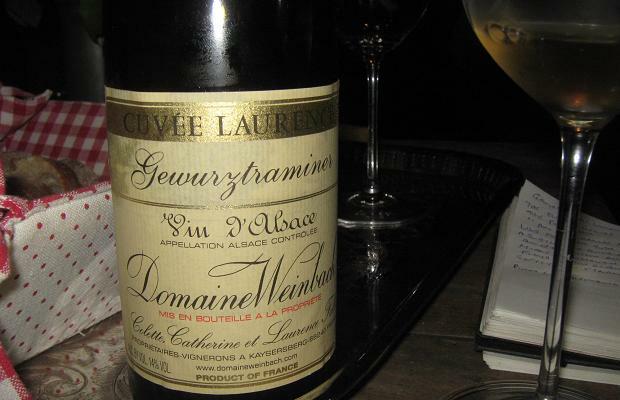 The wine was presented in Colmar by Sommelier Caroline Furstoss who began with the soulful tribute of “Laurence is felt in this wine.” Deduction, by salience and sobriety of grace, is considering the Faller’s ’94 a pure expression of the Furstentum terroir. Noted are the aromas of quince, apricot, their blooms and a grain of spices. Though already twenty years in, it remains conspicuously fresh. The richness and concentration are at such a high level. Flavour begins with a marmalade in defiance of confection and has no end. Though the vintage is decadent, warm and unctuous, there is always balance. Has a tannic impression and smells like flowers from warmer France. Furstoss reminded everyone that it is “an expression of a daughter.” Impeccable balance. What matters most when choosing a bottle of wine? Is the top spot on the criteria scale occupied by a need for value, to spend as little as possible and get the most for the dollar? Are ripeness, extraction and full-bodied the distractions necessary to gain pleasure from bottle? Are location, plot and soil a part of the equation? When the question is posed, “do you believe in terroir?” the answers come from both sides. Cathy Corison wrote this on Saturday. With yet another stretch of inclement and less than soul-warming weather upon us, red wine is back in fashion (does it ever fall from?) and thus the opportunity is afforded to throw a few more bottles into the “ever on the mind” search. More real possibilities offering up increased positives on the probability factor scale. Wines just released on Saturday via the perpetual wheel that is the VINTAGES program. Wine buying can be as much about humouring the exercitation of the intellect as it can be about the derivation of simple pleasure. With today already having caused a reflection on how rain and water went dripping down the back of the neck on a long promenade from A to B, a craving for deep red has begun. Wines that cause an opine in spiritual meets historical allegory ideation, reds to yearn for in desperate immediacy. Spain and Italy occupy this narcissistic niche, what with their attention to mid-palate, to filling voids, holes, vacuums and structural chasms. On Saturday the following six reds were made available. They are all highly recommended. At a major Burgundy tasting yesterday I tasted 18 whites and just three reds. Gasp! With the weather and the heaviness of winter still stuck to the bones it just can’t be helped. White wine is working right now. So today reds it is and reds it will be, as it has been before. Tomorrow I’ll likely return to white once again. That’s all I have to say about that. Just reviews today folks. Mostly from the VINTAGES April 18th release coming this Saturday.